Spelt is an ancient grain related to wheat which is very nutritious and delicious cooked in salads. In the Mediterranean, salads made from grains such as spelt and wheat have been a part of rustic culinary tradition for hundreds of years. Spelt is good for the heart and an excellent source of B2 vitamins. 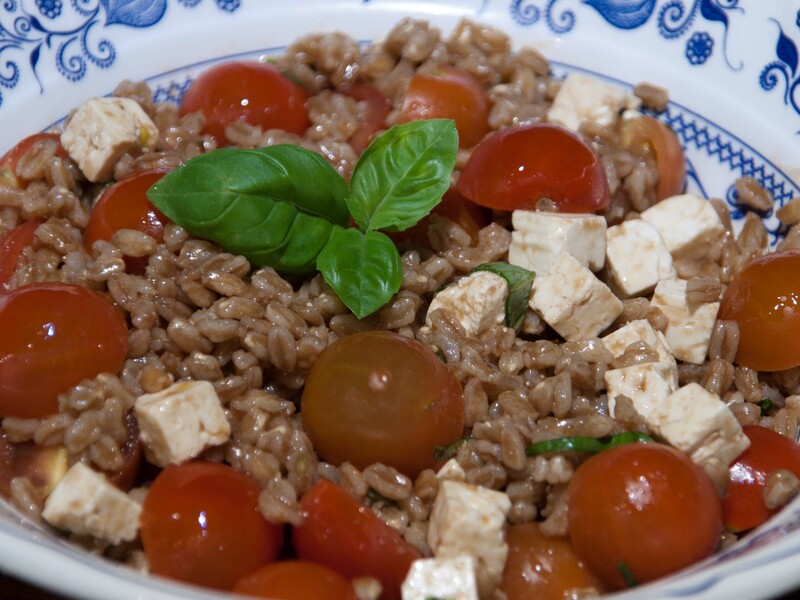 When cooked, the slightly nutty flavour of spelt goes very well with sliced tomatoes, olives and pungent herbs such as basil. 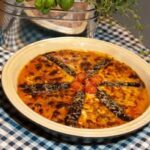 For this recipe I added ready cubed Italian Apetina cheese (a semi- hard cow’s cheese) but Greek feta cheese would work equally well. It makes a great lunch dish or party side dish served with the sesame chicken wings and a selection of green salads. 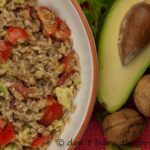 Spelt takes about 40 minutes to cook, but I discovered that Waitrose have a quick- cook variety called farro di cocco which only needs 10 minutes of cooking time.My advice here is to follow your own packet instructions for precise cooking time. Prep to Plate: Prep: 10 mins Cooking time: between 10 – 40 mins depending on spelt used-see packet for instructions. Drain and season to taste. Add 2-3 tbspns olive oil and balsamic vinegar according to your own preferences. Add sliced cherry tomatoes, cheese,chopped basil and mix well. 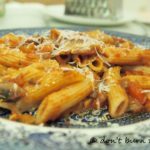 This entry was posted in All Recipes, Grains, Pulses & Pasta and tagged cheese, grains, healthy, heart friendly, lunch dish, olives, Salad, spelt, tomatoes by dontburntheonions. Bookmark the permalink. Thanks! My daughter is a big olive fan too so she would back that suggestion! Almond feta? Sounds yum-is that on one of your posts because I’d like to try it!